For those of who have enjoyed Tolkien since childhood, we are aware that every year of our lives is a year of Tolkien. 2016 was great, but 2017 looks to be an especially significant year for J.R.R. Tolkien. And here’s why. Following the publication of The Silmarillion in 1977, the world became aware that Middle-earth had a much deeper history than simply Hobbits and rings. The Silmarillion transformed our knowledge of Tolkien’s legendarium and introduced us to new characters, new locations and new stories. In particular, every one saw the three great tales of the First Age: The Children of Húrin, Beren and Lúthien, and The Fall of Gondolin. 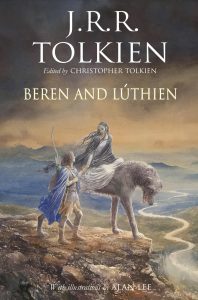 Now, in 2017 – ten years after the publication of The Children of Húrin – Christopher Tolkien has edited his father’s works to bring us The Tale of Beren of Lúthien. Over the coming months, we will learn more about what precisely is in this book, but what we do know is that this publication proves that not only was Tolkien one of the most influential authors of the 20th Century, but we still feel his significance in the 21st. Although Tolkien was an undergraduate at Exeter College, Oxford and concluded his career at Merton, it was whilst he was at Pembroke that he wrote the bulk of the work we now associate with him, including: The Hobbit, the first half of The Lord of the Rings, Farmer Giles of Ham, Leaf by Niggle, “On Fairy-stories” and “A Secret Vice”. To commemorate this, in 2017, the memorial to Tolkien at Pembroke College, Oxford will be unveiled for all to see. 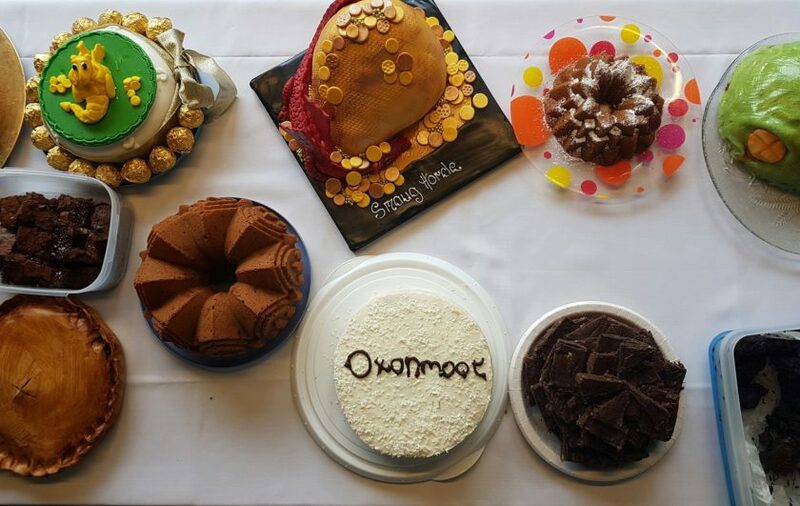 Oxonmoot continues to be the largest and longest-running annual event dedicated to Tolkien; people from over a dozen countries come to Oxford every year to celebrate the life and works of J.R.R. Tolkien. With around 250 attendees from five continents, 2016 saw one of the best and biggest Oxonmoots in the Society’s history. Not only did we celebrate The Great Middle-earth Bake Off, but we even had a performance of Tolkien’s Leaf by Niggle exclusive to attendees. 2017 looks set to continue our successful streak of popular Oxonmoots when we return to St Antony’s College from 21st to 24th September 2017. And, we will be holding a birthday party for Bilbo! Look out for more information, but in the meantime do save the date. And, did you know that members of The Tolkien Society get a discount? In The Tolkien Society, and in life, we never pass up an opportunity to celebrate, which we do every year for both Tolkien’s and Bilbo’s birthdays. In 1992 we held the Centenary Conference to celebrate Tolkien’s 100th birthday, in 2005 we held “The Ring Goes Ever On” for the 50th anniversary of the The Lord of the Rings, and in 2012 we held “The Return of the Ring” for the 75th anniversary of The Hobbit. If you haven’t read any of these books, now might be the perfect time to dust them off! The J.R.R. 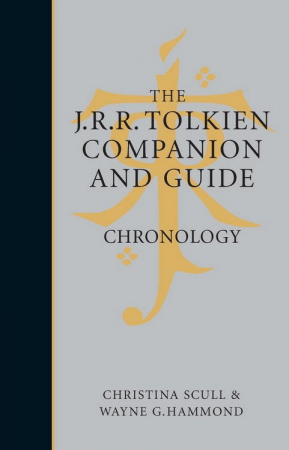 Tolkien Companion and Guide Second Edition by Christina Scull and Wayne G. Hammond – the first edition of the Companion and Guide was the must-have boxed set and go-to handbook for anyone wanting a day-by-day account of Tolkien’s bibliography and chronology. This second edition, due for release on the 7th September, will be expanded to three volumes to bring together much of the progress made in Tolkien scholarship over the last 10 years. A Middle-earth Traveller by John Howe – due out on the 5th October, little is known about this book currently. However, if it is anything along the lines of Alan Lee’s The Lord of the Rings Sketchbook, we are in for a real treat! “There Would Always Be a Fairy-Tale”: Essays on Tolkien’s Middle-earth by Verlyn Flieger – to be published on the 30th November, one of the world’s leading Tolkien scholars brings together a series of essays written over a span of twenty years. A must-have for those serious about Tolkien studies. Finally, on 25th March – the date on which the Ring was destroyed and Sauron utterly vanquished – comes Tolkien Reading Day. Every year we make use of the opportunity that Tolkien Reading Day brings to draw media and public attention to an author who has sold hundreds of millions of copies, but, this year, we shall be holding an extra special event in Oxford to celebrate that we hope you will all enjoy. Look out for more information soon. As we re-read, re-experience and re-enjoy Tolkien’s works new facets to the stories are opened up to us, and we continue to appreciate the skill, the tenderness, the insights and the achievements of one of the greatest authors in human history. 2017 looks set to be a year where all of these will certainly be true.